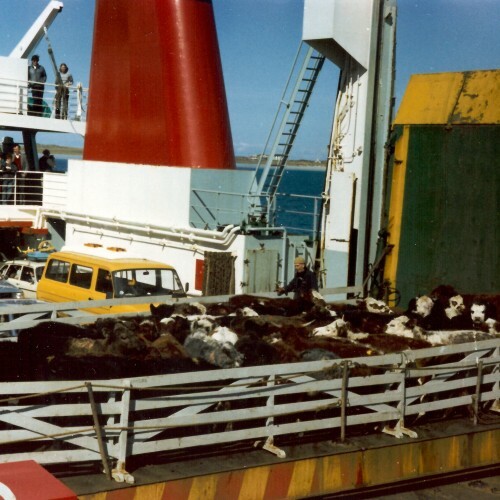 Cattle packed into a holding pen on the stern of the ferry at Gott Bay pier around 1990. 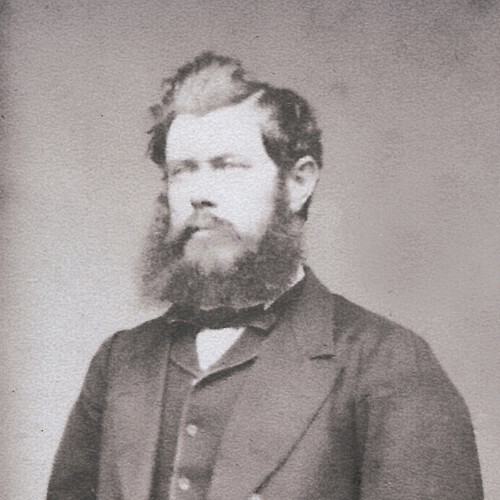 Captain Donald MacKinnon, Heanish, who sailed the tea clipper 'Taeping' to victory in the Great China Tea Race of 1866. 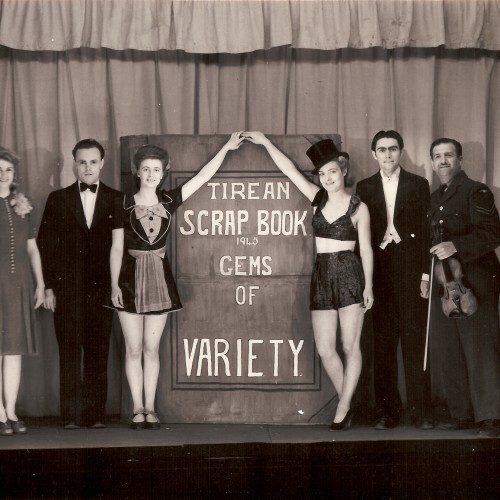 A performance by the Tiree RAF theatre groups 'The Reef Players' and 'The Tireans' during WWII, probably 1945. 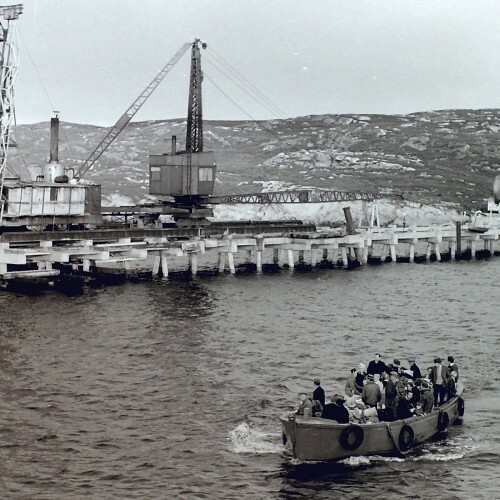 Coll jetty under construction in 1966. 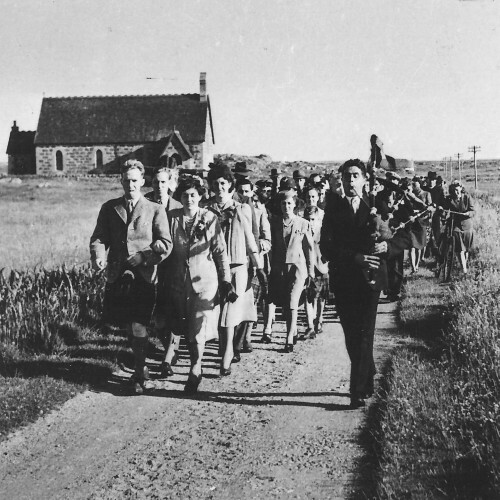 The boat is carrying passengers from the old pier at Arinagour to the ferry 'Claymore‘. 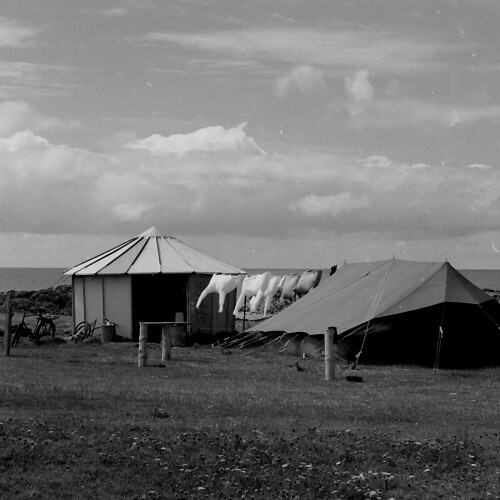 The temporary Decca Hifix radio mast and camp at West Hynish in 1966. 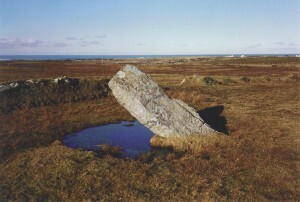 It facilitated the mapping of the seabed between Scotland and Ireland. 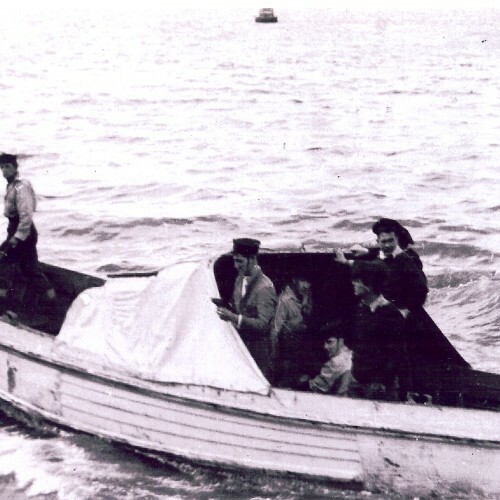 When the ferry 'Loch Seaforth' sank by the pier in 1973, passengers had to be transferred by small craft from the pier to the ‘Claymore’. 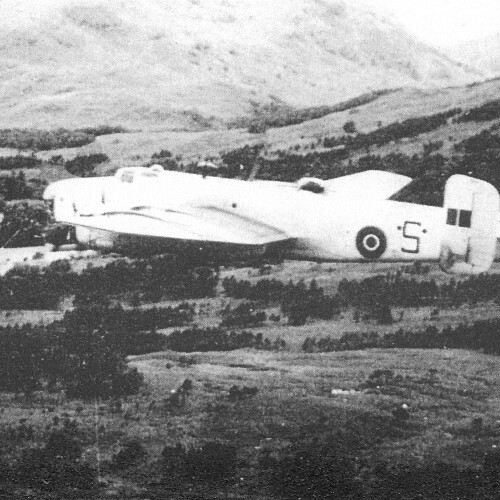 One of the Halifax aircraft that collided with another Halifax over Tiree on 16 Aug 1944 with the loss of all 16 aircrew. 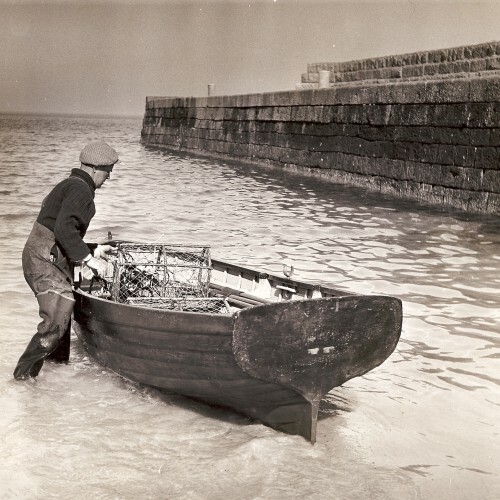 Lachie MacFarlane of Hynish with his lobster boat at Hynish pier around 1980. 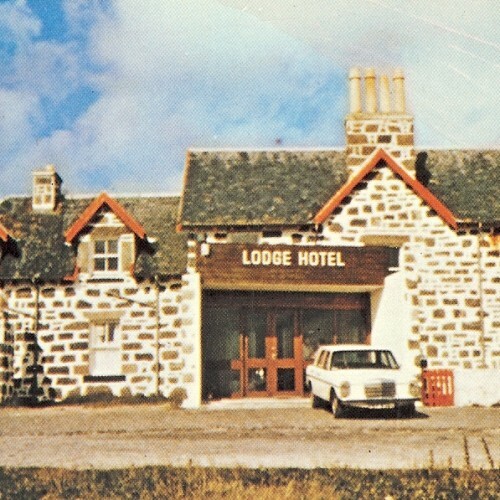 The entrance to the Lodge Hotel on Gott Bay in 1980. 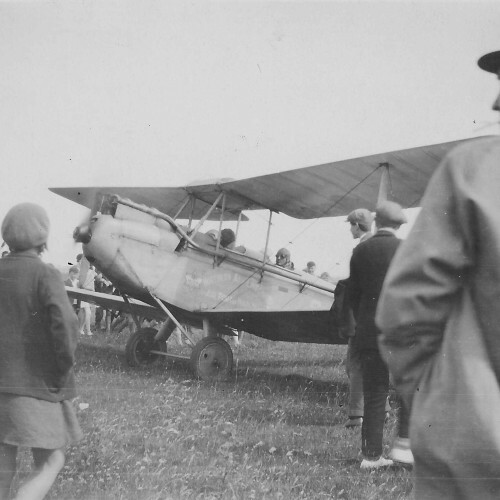 The owners at the time were Charles and Liselotte Dobson. 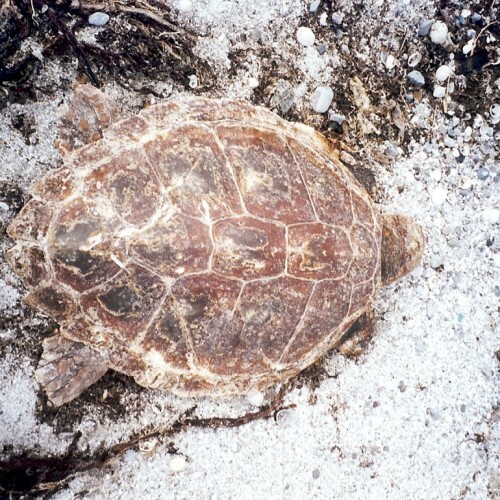 A dead green turtle that washed up on the shore at Crossapol Farm in 2009. 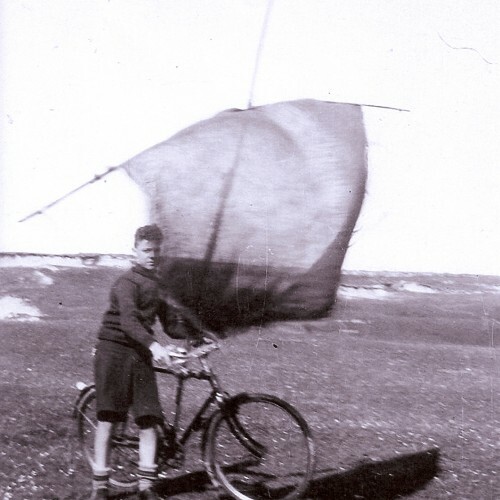 Alasdair Sinclair (1923-2009), Brock, as a boy with a hand-made 'sail-bike' on the machair. 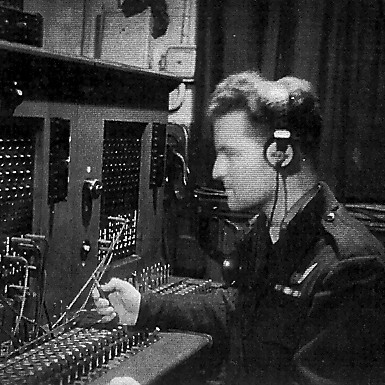 Alasdair grew up to be an international engineer. 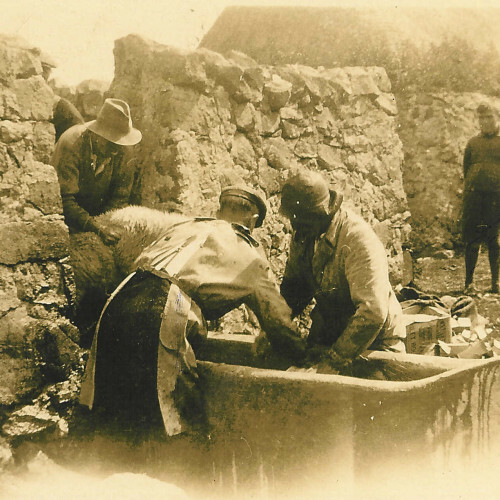 He was also one of An Iodhlann's most enthusiastic co-founders. 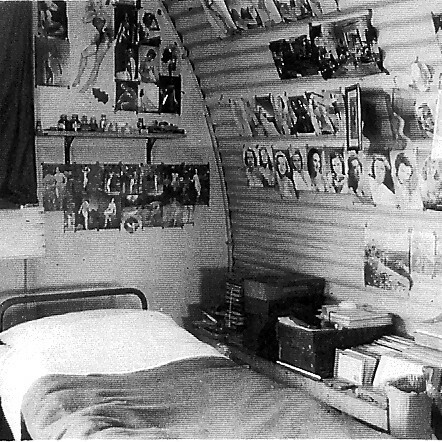 The interior of a nissan hut on RAF Tiree during WWII. 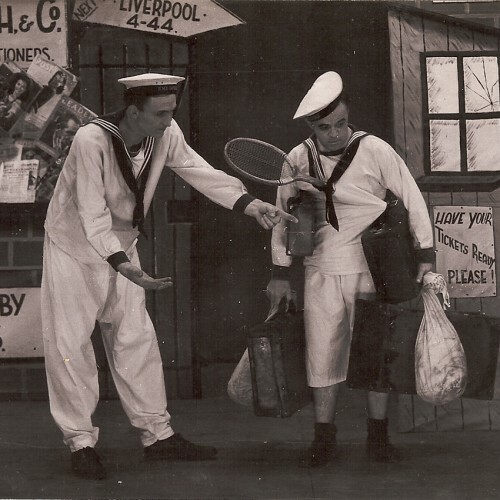 The bunk belonged to a crew member of 518 Squadron. 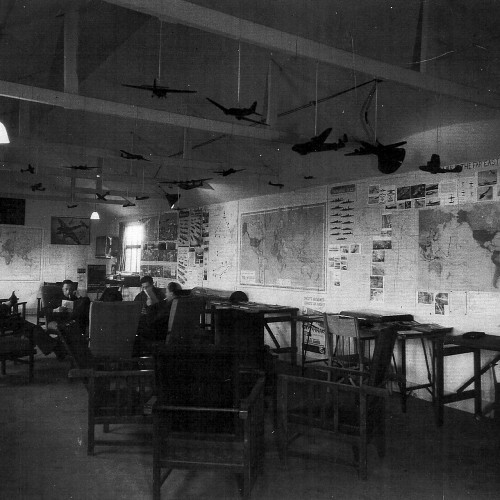 RAF 518 Metereological Observer Squadron's Ready Room on Tiree during WWII. 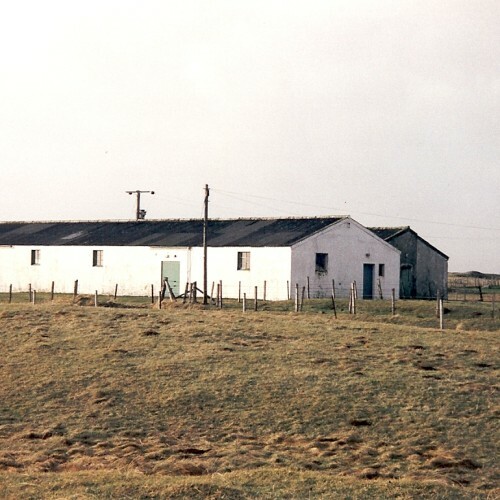 The old community hall at Crossapol in 2000. 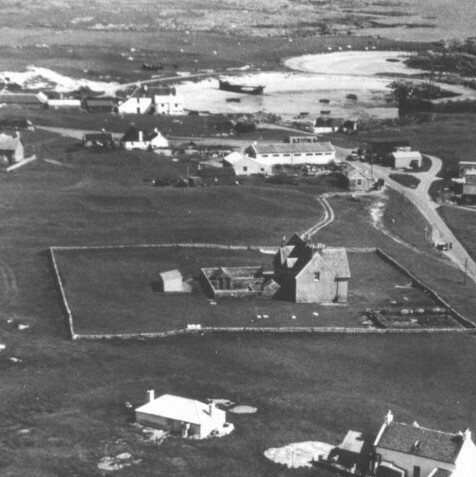 The old hall was opened in 1960, demolished in 2001 and replaced by the new hall 'An Talla' in 2004. 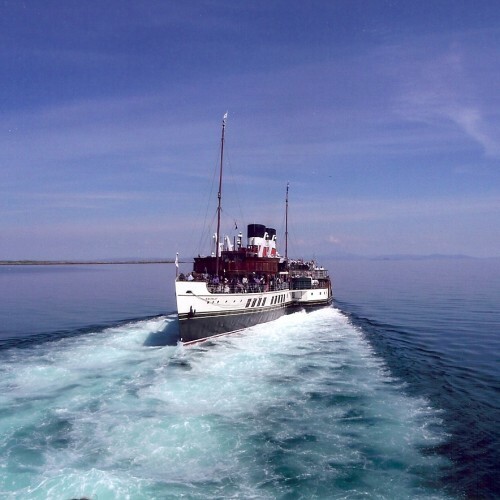 The paddle steamer 'Waverley' reversing out from Gott pier in June 2010 during its summer tour of the British coast. 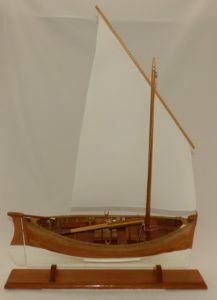 The ship travelled up Gunna Sound before returning its passengers to Gott pier. 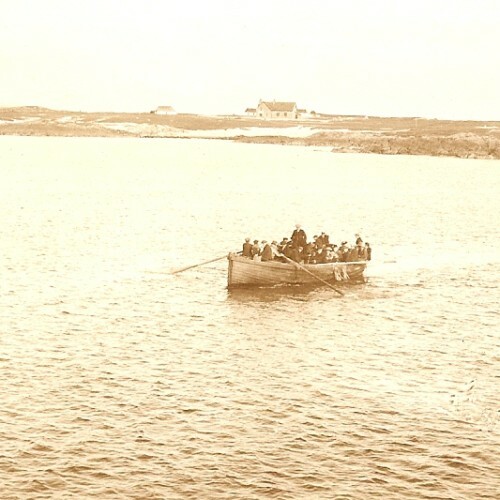 The 'lighter' carrying about 20 people being rowed out to the ferry waiting off Scarinish Harbour around 1900. 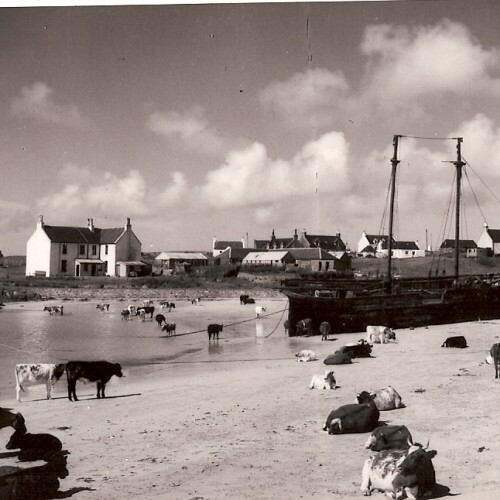 The ‘Mary Stewart’ beached in Scarinish Harbour around 1950. 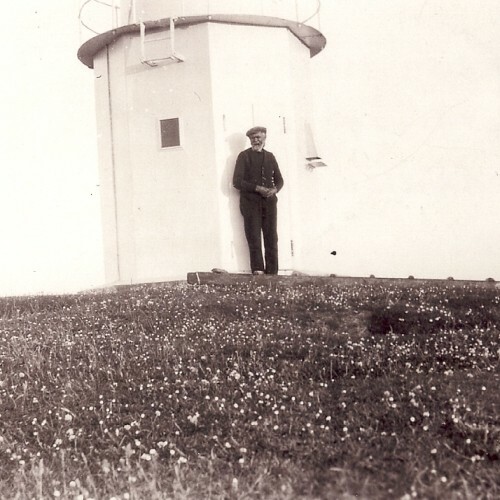 James Stewart MacFadyen (1845-1929) in front of the Scarinish lighthouse around 1915. James was the lighthouse keeper. 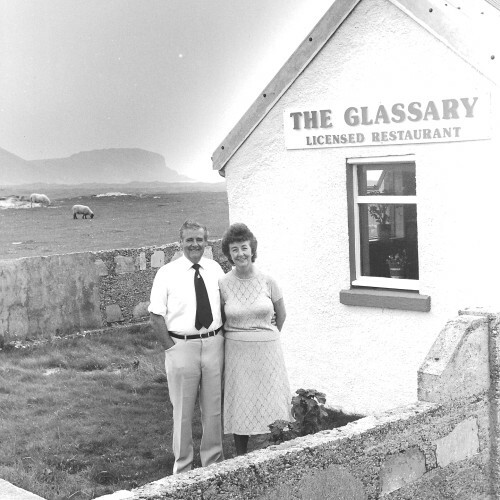 Donnie and Mabel MacArthur outside The Glassary restaurant at Sandaig, on its opening in 1984. 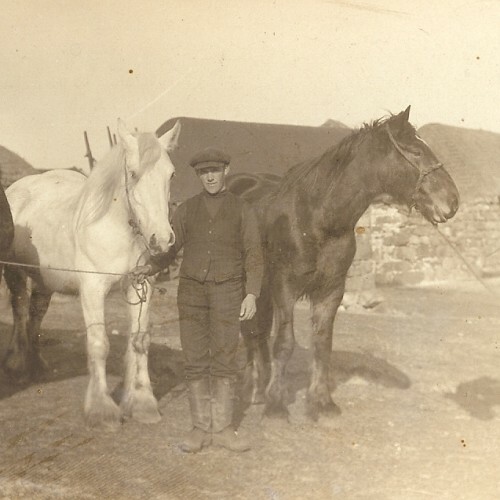 Brothers (L-R) Archie Brown MacDonald and Colin MacDonald of Mannal House, with five Clydesdale x Highland horses around 1930. 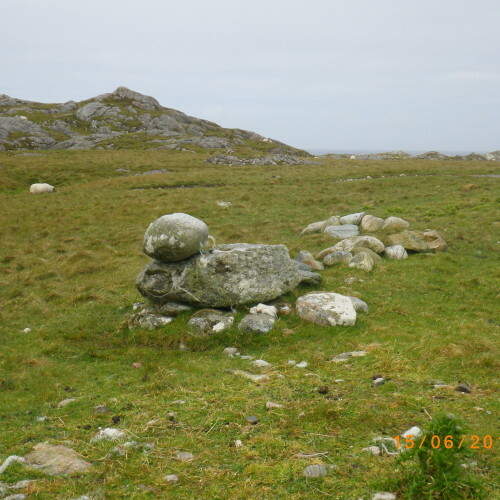 Traditional ‘Lifting Stones’ near Torastan, in north-east Coll in 2011. 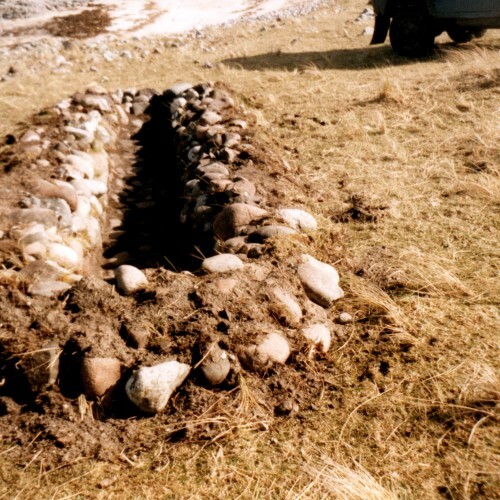 These stones were thought to be used to test a man's strength. 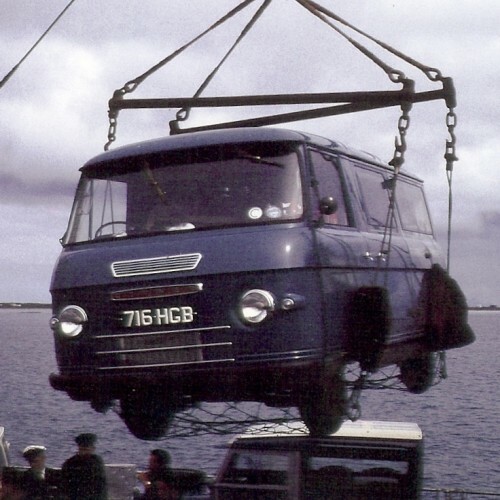 Hoisting a van from the deck of the ferry 'MV Claymore' to Gott Bay pier around 1962-1964. 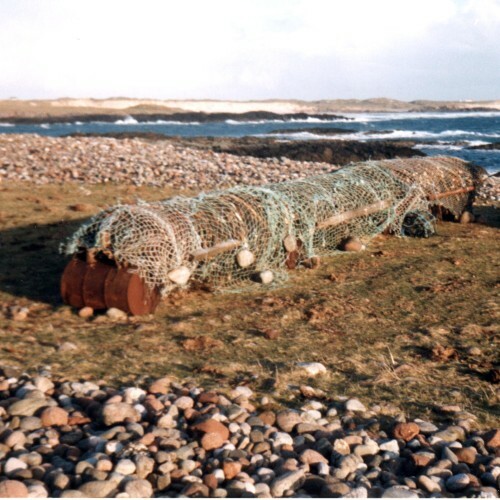 Before the Roll-on Roll-off ferries were used at Tiree, all freight was transferred from ferry to pier in this way. 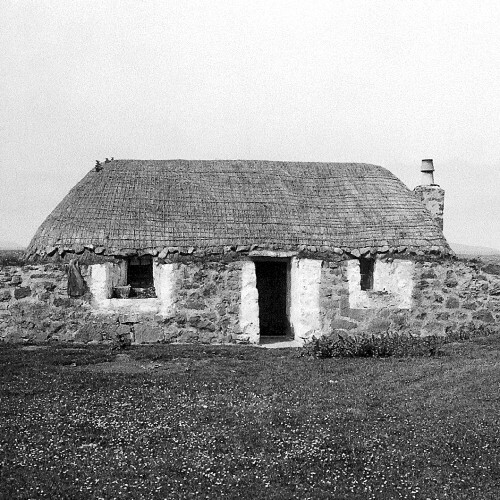 "Taigh an t-Sithein" or "Taigh Nèill 'ic Chaluim", Scarinish, taken by Erskine Beveridge during 1896-1901. 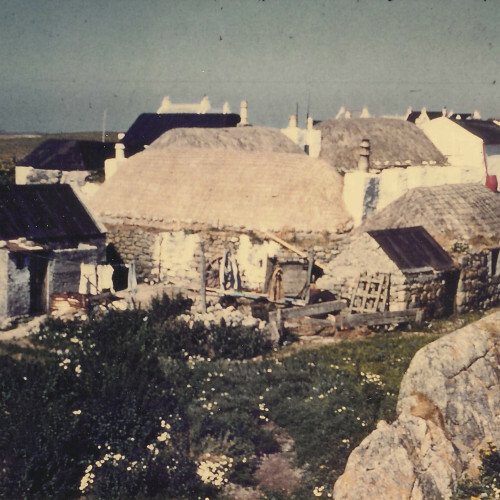 The house is no longer standing. 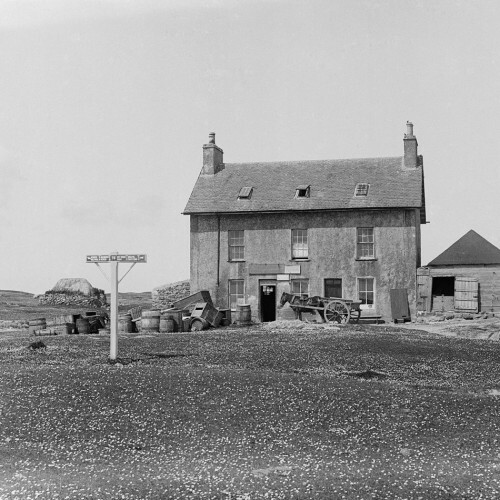 MacArthur's shop, Scarinish, taken by Erskine Beveridge during 1896-1901. 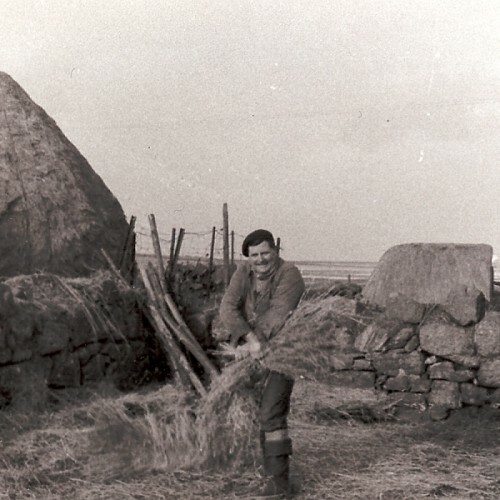 Lachie Cameron, Balevullin, binding hay at a haystack around the 1960s. 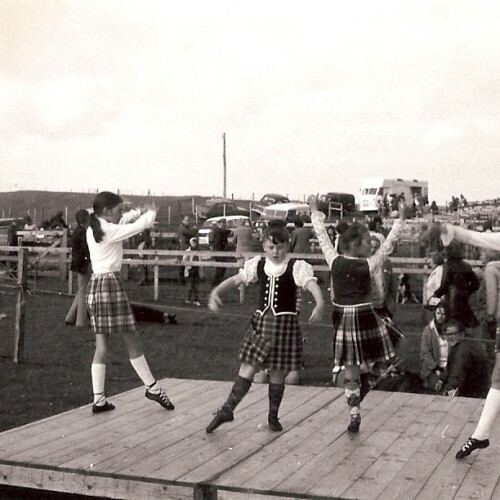 Mairi MacLeod (Carrachan), Mairi MacDonald, Balevullin, Gail MacLean, Cornaigbeg, and Jeanette Straker competing in the Highland dance section of the Tiree Agricultural Show in the 1970s. 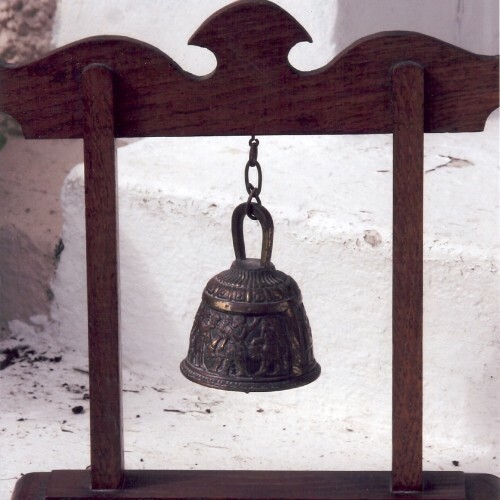 “The Sturdy Bell' - a small ornate brass bell that either came from the ship or commemorates the crew of HMS Sturdy which foundered on rocks off Sandaig in Oct 1940 with the loss of five lives. 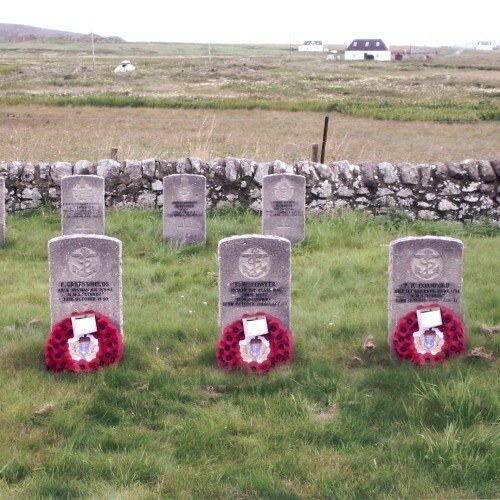 The graves in Soroby Cemeterty of the five seamen who died when the HMS Sturdy foundered on rocks off Sandaig in October 1940. 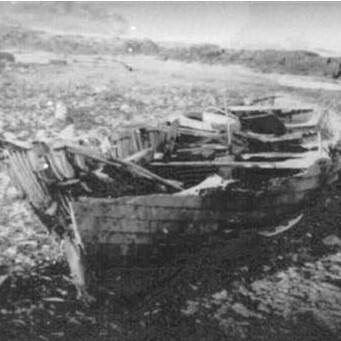 The wrecked whaler on the beach at Sandaig in which five crewmen lost their lives when attempting to leave the foundering HMS Sturdy in October 1940. 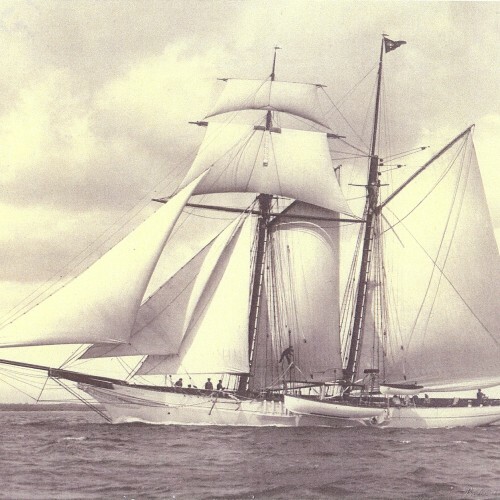 The schooner 'Oceana' in full sail ca. 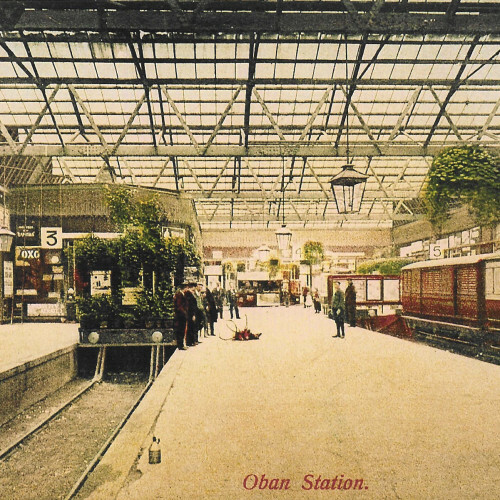 1915 before its refit in 1923. 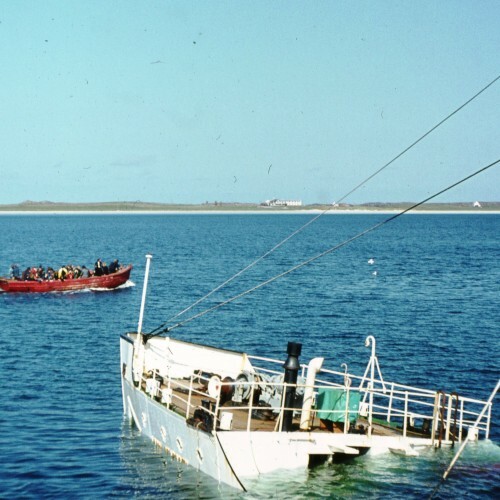 The Oceana ran aground and broke up at Crossapol in 1949. 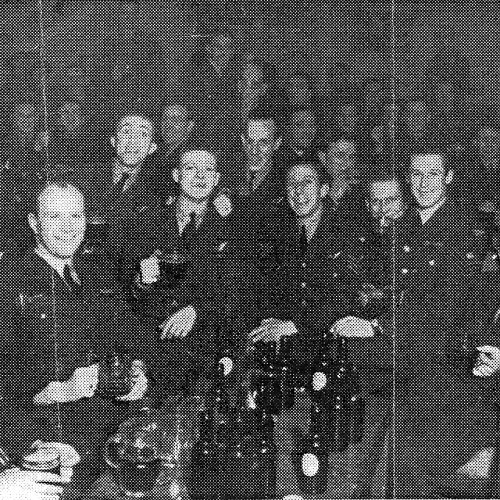 Airmen in the Seargent's Mess at RAF Tiree on New Years Eve 1944. 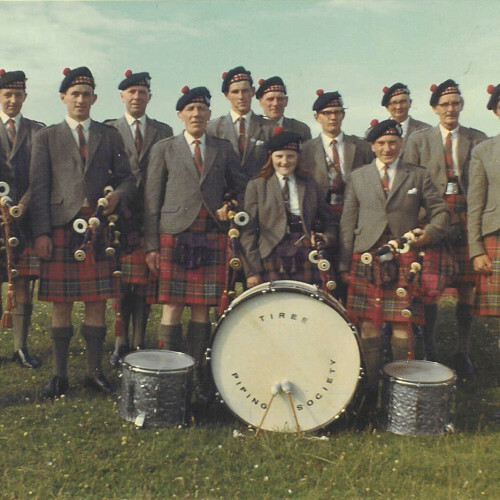 L-R from 3rd left: Harry Hearn, John Holt, Stan Green, Neville Beale, Mike Moore, Ian Reed, Ken Wescott, Eddie Dryley. 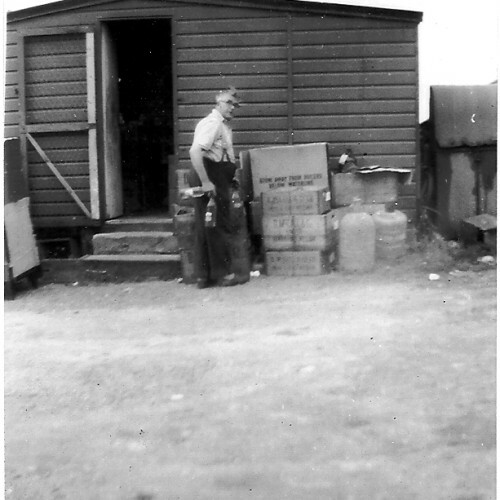 Malcolm (Calum Salum) MacLean outside his shop in Salum around 1960. 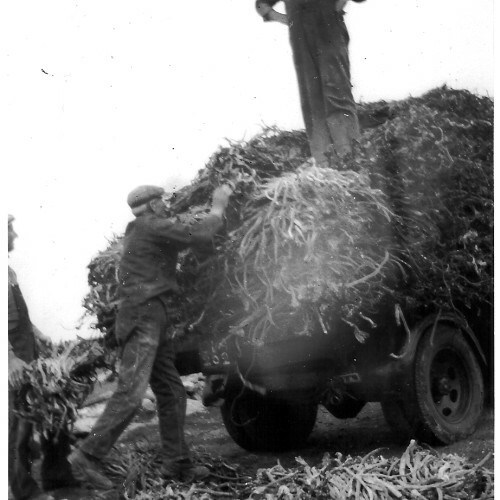 Loading tangle (kelp stalks) onto a lorry at Scarinish pier around 1960. 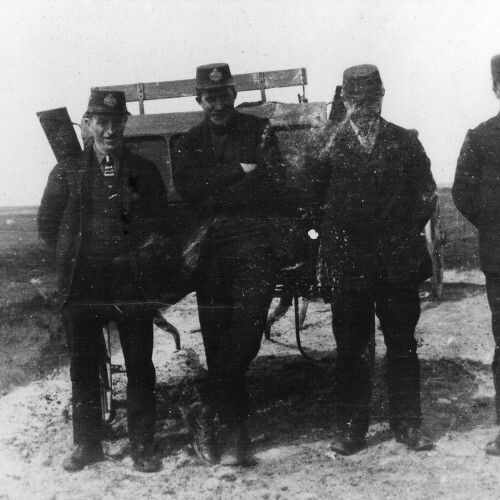 L-R: Hugh MacDonald, Mannal House, and John Neil MacPhail, piermaster standing on the lorry. 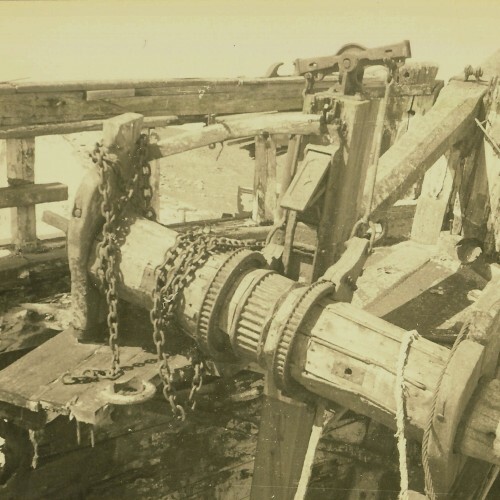 The interior of the abandoned cargo ship ‘Mary Stewart’ in Scarinish harbour in the 1940s or 50s. 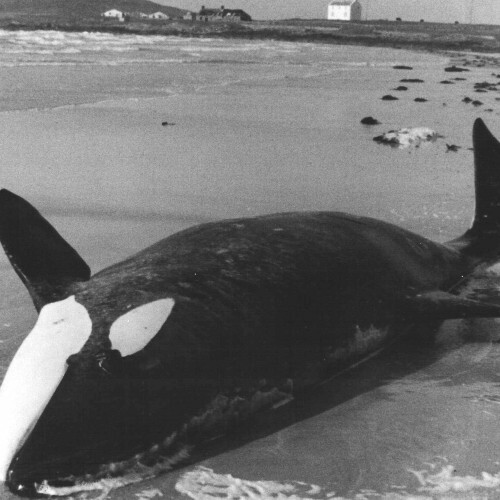 Photographed by Morton Boyd. 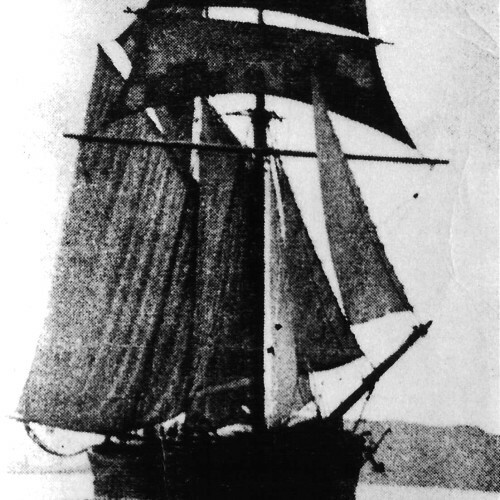 The cargo ship 'Mary Stewart' in full sail. 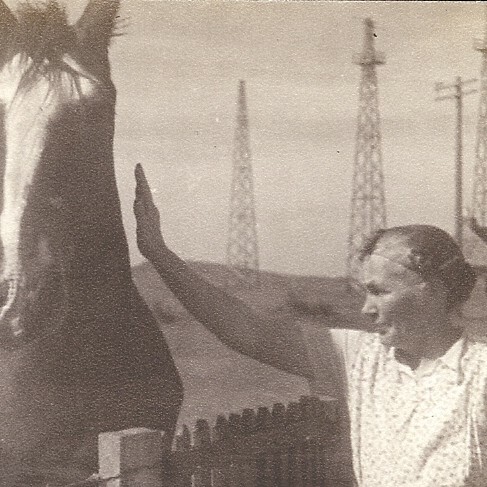 From a newspaper photograph taken around the 1920s. 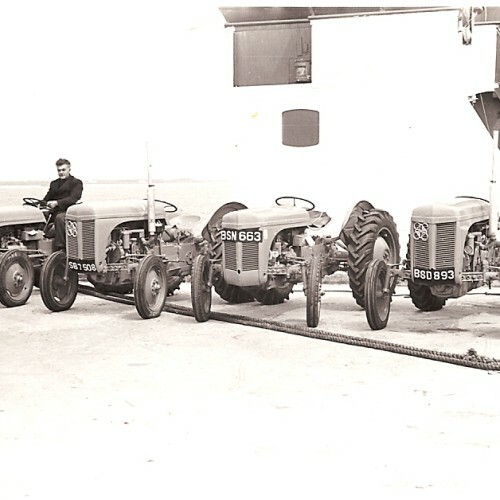 Early Massey-Ferguson tractors arriving at Tiree on the ferry in about 1950. 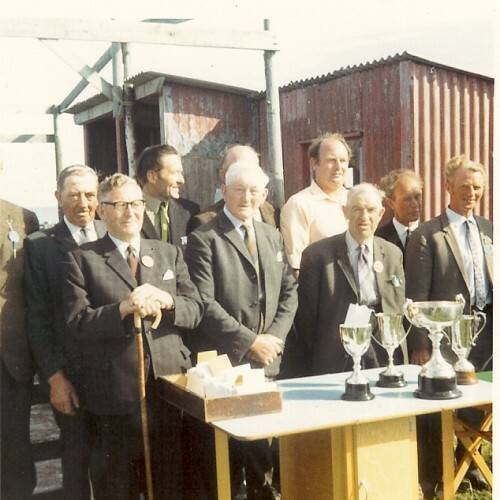 Tiree Agricultural Show Committee at Crossapol Farm in 1971/2. 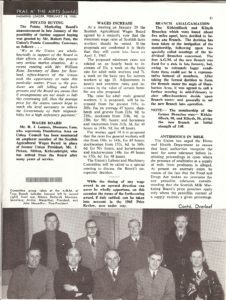 Present: Hugh Campbell, unknown judge, Lachie MacLean, Druimfraoich, Charles MacLean, Croish House, Lachlan MacArthur (Lachie Donan), Lachie MacFarlane, Hynish, and John MacFadyen, Barrapol. 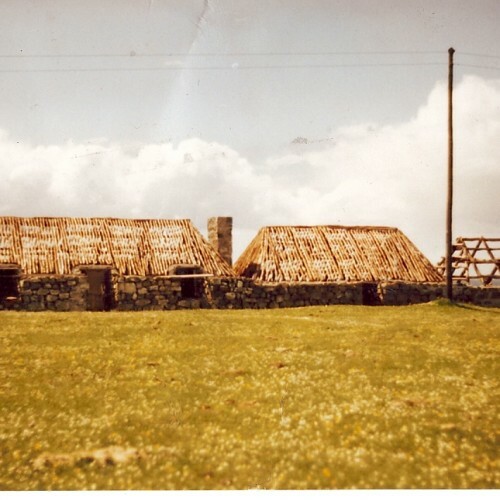 Sandaig Thatched Cottage Museum under renovation in 1991-92. 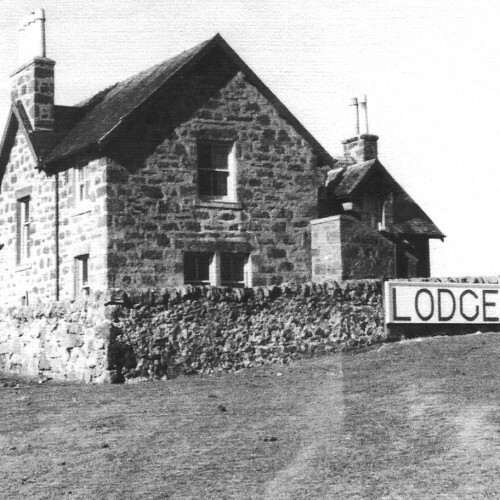 The Lodge Hotel, Kirkapol, around 1965. 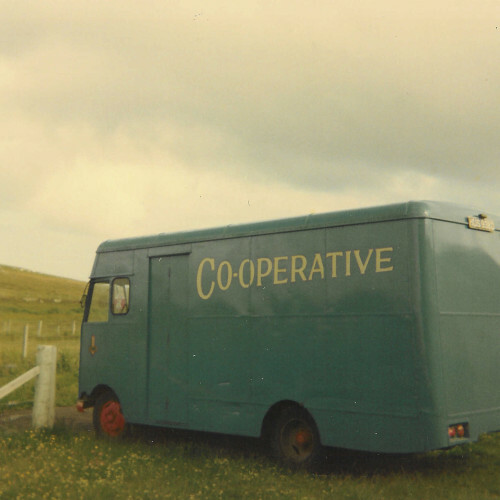 The café at Viewfield, Crossapol, in the 1950s. 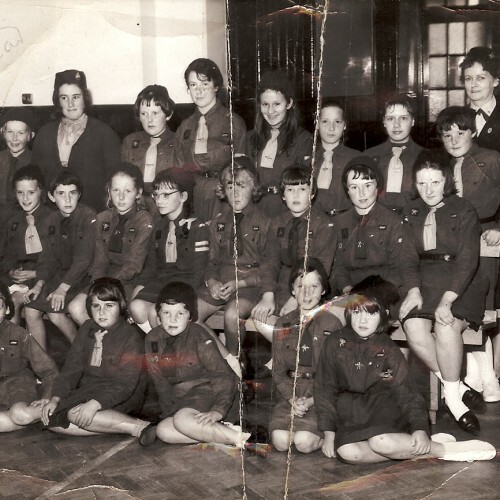 L-R: Annie Brown, Monica Davies and her daughters Mary and Donna, Mary's mother Dolina MacCallum, and Fiona Langley in the foreground. 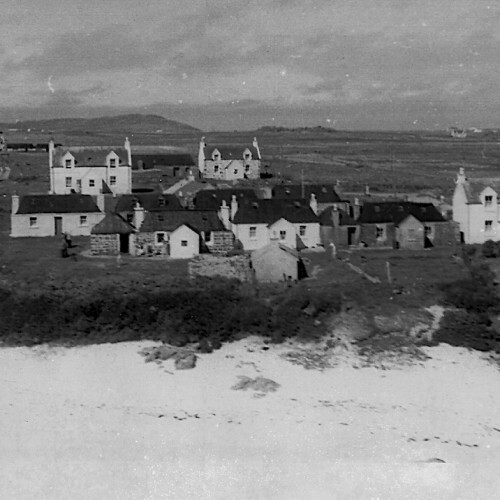 Am Bail' Ur (The New Town) in Balephuill photographed by Morton Boyd in the 1940s or 1950s. 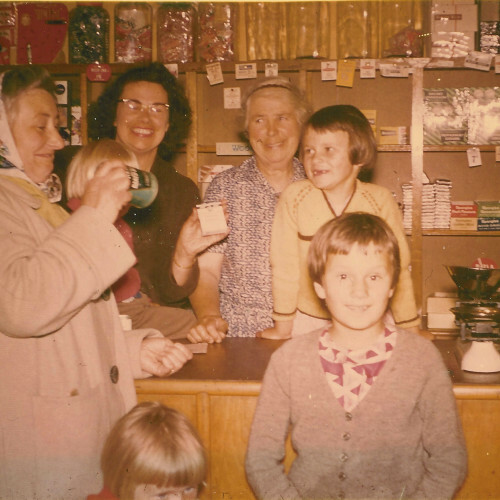 Click on a slide to view our archive entry for that image.